David is, among other things, an expert on cleaning and repairing sport optics. He mans the free-of-charge minor repairs and servicing table on the Leica booth at Birdfair every year and often gets such long queues that you’d think a celebrity book signing was taking place. David cleans and services high numbers of binoculars and spotting scopes every year. The queues of Leica users looking to have their Leica products spruced up at his table on the booth at Birdfair every year show that he knows what he’s talking about. “Modern optics are so well made that you can actually do most things you need to maintain them yourself,” he enthuses. According to David, the most common mistakes people make are pressing too hard on the lenses, using the wrong kind of cloth or simply not cleaning at all. "Some of the binoculars we get brought in at Birdfair are 20 or 30 years old and have never been cleaned. Optically, they’re still brilliant, but the grime has had a long time to build up and this can make the eye cups stiff and difficult to adjust." Does it take a lot to remove 30 years of dirt? "Not really, considering," says David. "A good wash in warm, soapy water, for instance made with washing-up liquid, should get most, if not all of it moving and a cleaning wipe should get rid of any particularly stubborn or ingrained particles. Don’t rub too hard though," he adds. "If you do, you risk scratching the lens itself or damaging the coating by grinding small particles of grit against the glass. The soapy water should loosen everything. We never have to worry about water getting inside as all our binoculars are fully waterproof and nitrogen sealed so the water does the hard work for us." With premium binoculars and many others, there’s no need to use any lubricant. If you do, you’ll just end up moving the dirt around rather than getting rid of it. "The moving parts on our binoculars are designed to function without any need for lubricant, so that performance will be perfect all the way across the temperature range, from extreme heat to extreme cold." Cleaning is simple: the hard part is remembering to do it often enough. And how often is often enough? "How long is a piece of string?" laughs David, "It really depends on what sort of use you’re giving the product and how often you’re using it. "Obviously, if you drop your binoculars in a bog or they get thoroughly filthy during an outing, you should clean them as soon as you get home. If you’re using your scope or binoculars near salt water, for instance for sea bird watching, they’ll need cleaning more often to prevent invisible salt residues building up and potentially damaging coatings. Sometimes the product itself will tell you it needs a clean: if eye cups start to stick that often means that dirt or dust has built up inside and the problem can usually be solved with a quick clean." Another simple but surprising tip that David has is to use rain guards to protect the eye-pieces – not only from the weather but from your lunch with your binos around your neck. "I’ve had to clean so many sandwich crumbs out of eye-cups that I’m considering suggesting that HQ renames the rain guards as ‘lunch guards’," David laughs. "And it’s no excuse if you’ve lost them, or the caps for the objective lenses. We’ll supply replacements for Leica binoculars free of charge. All you have to do is call customer care and let them know the model and age." Is there anything you shouldn’t try at home? "If you’ve dropped or banged your binoculars or telescope check carefully for any dents," advises David. Modern rubber armouring and tubes are tough but sometimes a hard knock on an unfortunately placed stone can damage the outer casing and this could compromise the waterproofing. If you’re in any doubt, David recommends taking the product to your local dealer or calling the manufacturer’s customer care department. Most repairs can be done under warranty (Leica’s current warranty on optics is 10 years) and many more are carried out free of charge on a goodwill basis. Naturalist, wildlife guide, and broadcaster Iolo Williams: "Because my Ultravid 10x42 HD-Plus binoculars are so robust I don’t need to mollycoddle them. Mine accompany me everywhere, from marshland to woodland to seashore and they often get covered in mud, sand and worse despite my best efforts. "This spring, I spent three weeks on the Farne Islands and, inevitably, they became covered in guano from Arctic terns and a variety of gulls. When I say covered, I mean covered, but at the end of my time on the islands, I cleaned the binoculars and strap with cold water and a clean cloth, and now they are as good as new!" 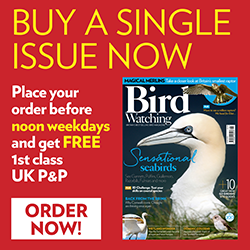 Globe-trotting birders and wildlife guides Alan Davies and Ruth Miller: "Our Leica optics are so reliably waterproof that we can safely run them under the tap to clean them. One of us (we're not going to admit who!) once spilt hot chocolate all over their binoculars and they cleaned up perfectly after being run under a cold tap. Though there was a faint but tasty whiff of chocolate when we went birding over the next couple of days! "Our other top tip would be to only ever use lens cloths to clean your optics. We have had to stop people on numerous occasions from using tissues, sleeves and worse to wipe their lenses, not realising that they could inadvertently damage the lenses." Geoff Hilton, head of research and chief scientist at the Wildfowl and Wetlands Trust: "Probably the toughest place you can possibly imagine to keep your optics clean an functional is on the mudflats in the Gulf of Mottama, where I have been looking for spoon-billed sandpipers using Leica kit in 2015 and 2016. Mottama is by a distance the most important wintering site for the species – it probably supports well over half of the world population. Mottama is a vast, remote and dynamic river estuary. The only way to survey it is from a convoy of local fishing boats. We move between survey sites at high tide and at low tide we survey on foot across miles of semi-liquid mud. "At no point during the week or so out there do we set foot on dry land. Salty mud is absolutely pervasive and there’s no spare fresh water. Optics take an absolute hammering. I make sitting in some shade and cleaning the kit part of my post-fieldwork cooling down routine. Once the mud has dried on the lenses, a soft brush and a cleaning cloth (which the Leica guys gave me when they came to Slimbridge to talk me through the optics last year) dusts it off pretty easily. I occasionally use a bit of lens cleaning fluid after that, although I think that’s more for my own satisfaction than for any benefit it gives to the lenses. Seeing the lenses return to a pristine state ready for the next day of floundering around in the estuarine mud is a kind of zen moment for me. Of course, once we’re back to a comfortable hotel room in the capital, they get the full treatment: I take them with me into a very long shower!"